While many people look forward to Christmas and the end-of-year holiday period, consumerism habits are costing the planet, our budgets and our time. The money we spend on throwaway items like greeting cards, unconsumed food and unwanted gifts add up to billions of dollars and could be put to better use. Every year, Americans use around 6.6 billion kilowatt-hours of electricity to run Christmas lights, according to a study by the US Energy Department’s Energy Information Administration (EIA). That’s equal to around 0.2 percent of the country’s annual electricity consumption. But even that is no small figure. As the Center for Global Development’s Senior Fellow Todd Moss and Priscilla Agyapong pointed out, that amount of power could run 14 million refrigerators. “It’s also more than the national electricity consumption of many developing countries, such as El Salvador, Ethiopia, Tanzania, Nepal or Cambodia,” they stated. However, we don’t just waste electricity. 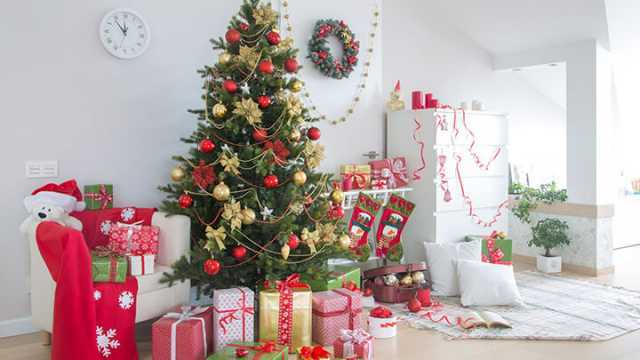 Data from the Environmental Protection Agency suggests total household waste jumps 25 percent over the Christmas period. Again, this might not sound like much, but nationwide it adds up to an additional one million tons of waste. People could use wasted wrapping ribbon alone to tie a bow around the planet, according to researchers Dr. William Rathje and Robert Lilienfeld. Then there are those greeting cards we all hand each other. I don’t mean to make a mountain out of a molehill, but a pile of the nation’s Christmas cards alone could make a mountain of waste the width and breadth of a football field, as tall as a 10-story building. Meanwhile, EPA figures suggest 33 million Christmas trees are hacked down each year. That’s around a third of the number of trees killed by California’s historic drought. It’s a similar story in other countries. 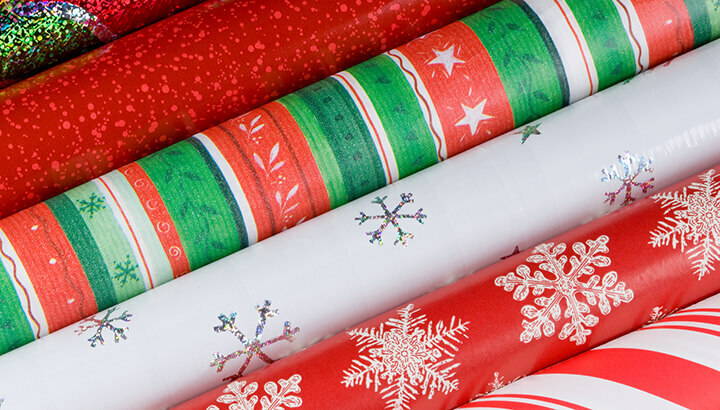 Each Christmas, the UK throws away enough wrapping paper to wrap up the Earth’s equator — nine times! The amount of glass products wasted in the UK over this silly season is the carbon dioxide equivalent of 1,300 cars driving all year. In the U.K., people throw away an estimated 4.2 million Christmas dinners, which is the equivalent of 263,000 wasted turkeys, plus tons of uneaten vegetables. Of course, that’s child’s play compared to the U.S. Here, 12 billion kilos of Christmas food are thrown out each year. That’s equal to roughly 83 pounds of wasted holiday food per person. To put that in perspective, if you’re an average sized American male, the amount of food you’ll waste over Christmas is equal to well over a third of your body weight. All this waste doesn’t just cost the environment. It’s also hitting our pockets and people could use it for other things. That money the UK wastes on uneaten Christmas dinners costs the public around $80 million each year. Across the pond, the average American spent around $28 on Christmas cards in 2015. Again, that figure doesn’t initially seem large, but nationwide, that adds up to over $9 billion. That’s more than what it would take to eliminate malaria in 34 of the world’s most at-risk countries. Fun fact: In 2015, 214 million people contracted malaria, 438,000 of whom died. There’s no official data on the number of deaths from a lack of holiday greeting cards. Fund the removal of four to six million landmines left in Cambodia. They’ve already claimed 63,000 victims. Fund Africa’s regional support center for the Global Program to Eliminate Lymphatic Filariasis. Lymphatic filariasis is a disfiguring, debilitating and extremely painful parasitic infection that affects 120 million globally. Maintaining Africa’s support center costs $$215,000 a year. Let’s say one year we collectively decided to dedicate the money normally spent on Christmas cards and decorations to humanitarian goals. We could potentially eliminate four diseases, fund treatment for a fifth and get rid of millions of unexploded ordinances in Cambodia. For some people, Christmas can be quite a stressful time. Those who have less money (or none) to spend often feel depressed. Others who don’t have families — migrants, the elderly and others — can feel down too. Family misunderstandings and conflict can also have an impact on how people feel in December. Even gift giving has its drawbacks. For over two decades, University of Minnesota economics professor Joel Waldfogel has been studying the benefits of gift giving. He’s come to a grim conclusion: it’s not always a good idea. Since the 1990s, Waldfogel has been exploring the idea that gift giving is an economically inefficient way of distributing resources. “Normally I’ll only buy myself something that costs $50 if it’s worth at least $50 to me. When I go out and spend $50 on you, though, because I don’t know what you like and what you need, I could spend $50 and buy something that would be worth nothing to you,” he told PBS in 2013. 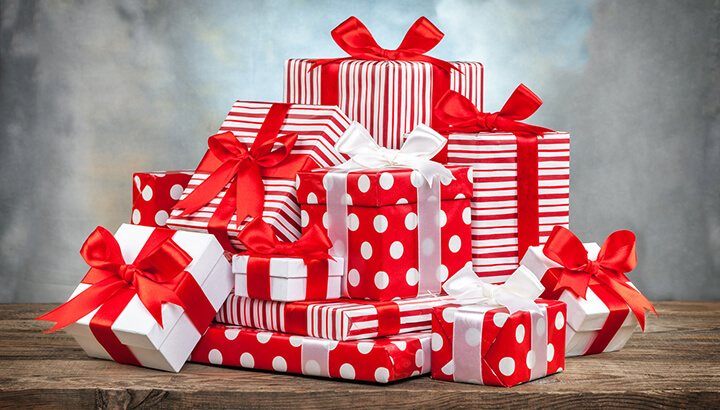 Waldfogel concluded that somewhere between one-tenth and one-third of the value all presents given over the holiday season is “destroyed” simply because people buy things their loved ones don’t actually want. Data from the National Retail Federation suggests Americans spent around $71 billion on presents in 2014. Based on Waldfogel’s estimates, that would mean Americans wasted between $7 billion and $24 billion on unwanted presents that year. If we took that money wasted on presents we didn’t want, combined it with the expenditure from gift cards and seasonal decorations, we’d have a total pool of roughly $50 billion dollars. To put it another way, if everyone stopped sending Christmas cards, decorating their homes and giving terrible presents, we could end extreme poverty globally in just four years. For those who celebrate Christmas, are there other ways you can celebrate and express love and appreciation for others? Or perhaps there are gifts that “give back,” like garden seeds or a handmade gift? Try giving gifts that don’t require too much packaging and reuse gift wrap whenever possible. Eat sustainable produce and avoid disposable utensils. Recycle everything you can and stick to energy efficient lighting. Every little bit helps reduce waste and can make the world a slightly better place this holiday season. Hey Buddy!, I found this information for you: "The Hidden Cost Of Christmas: Budget And Environmental Pain". Here is the website link: https://www.thealternativedaily.com/hidden-cost-of-christmas/. Thank you.